Course Website: Official Website - Visit The Club at Black Rock's official website by clicking on the link provided. 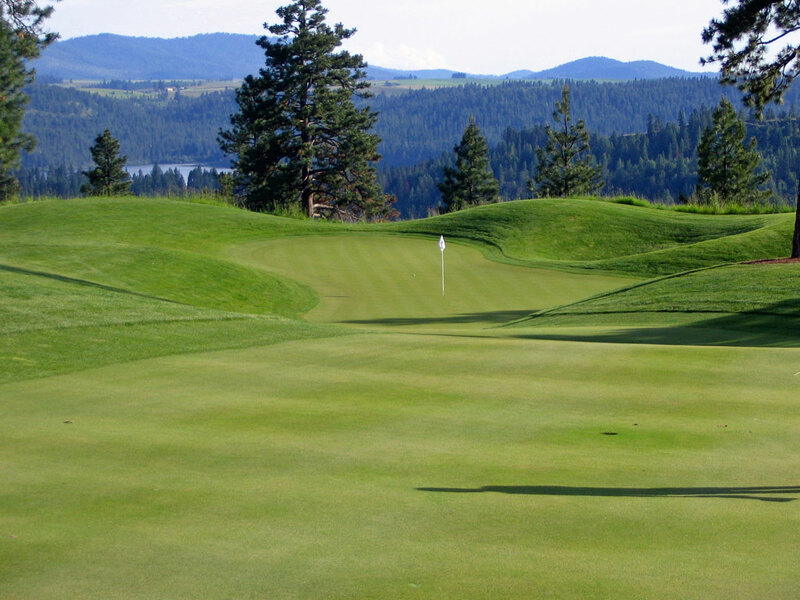 Accolades: Ranked 2nd in Idaho on Golf Course Gurus' Best in State list. 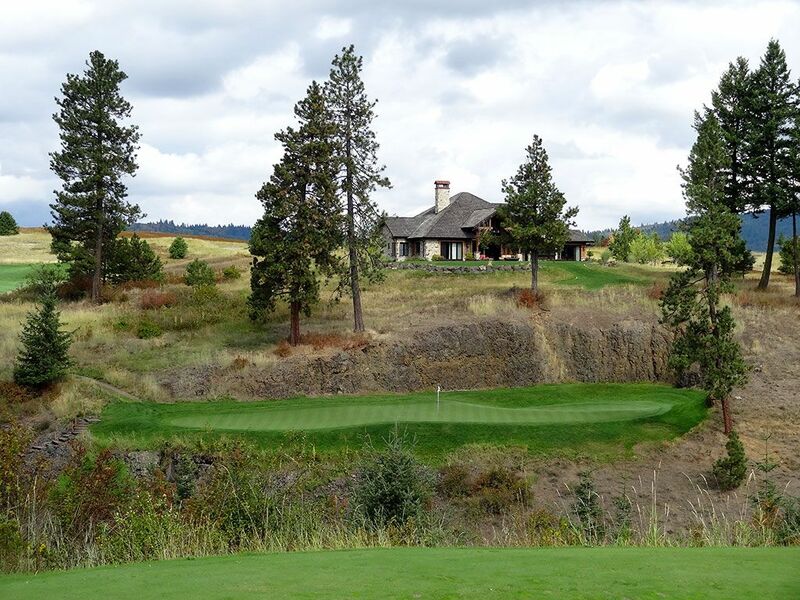 What to Expect: There are several golf courses where if given too much hype can fall short of one's expectations; The Club at Black Rock is not one of them. It is not just playing a round of golf, it is taking your golf ball on an experience. The sloping contours of the fairways and greens are extenuated by the extremely tight mowing conditions the club has put in play. A classic Engh desgin feature is to "bowl" around the greens which allows for some very creative work on short chips as well as distant approaches. 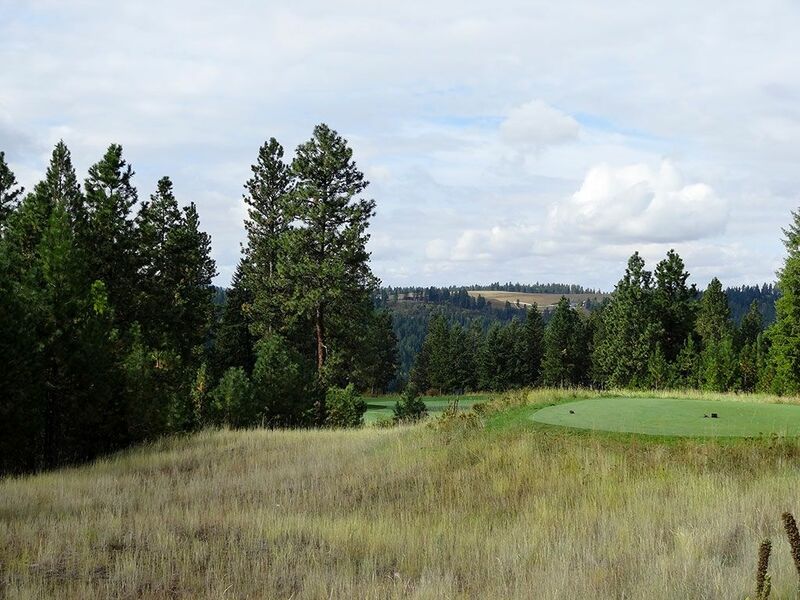 Another nice feature is that the front nine has three par 3s, three par 4s, and three par 5s which gives golfers more fun and exciting holes to play. The top notch clubhouse is over 30,000 square feet and features an Olympic sized swimming pool, massage room, and virtually every other feature one could hope to find in clubhouse and locker room setting. When all is said and done, what should you "expect" when visiting Black Rock? 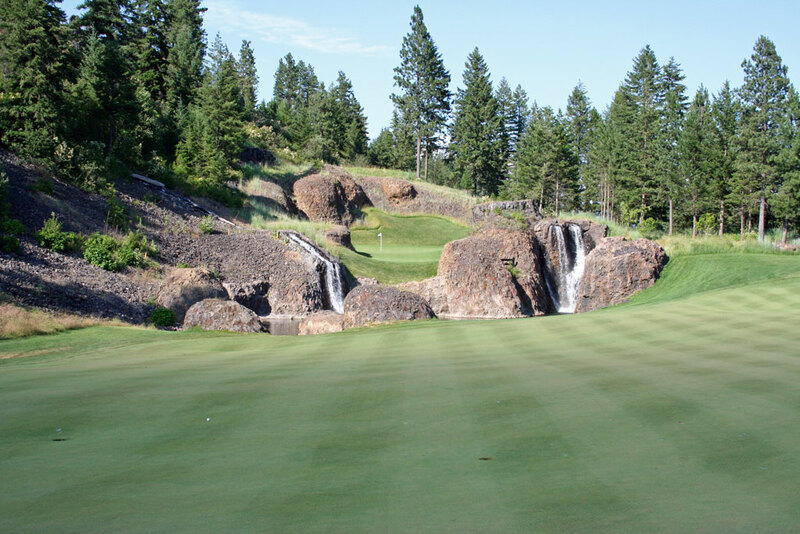 Expect to take your ball on an 18 hole "roller coaster ride" and have an experience rivaled by few courses in the country. 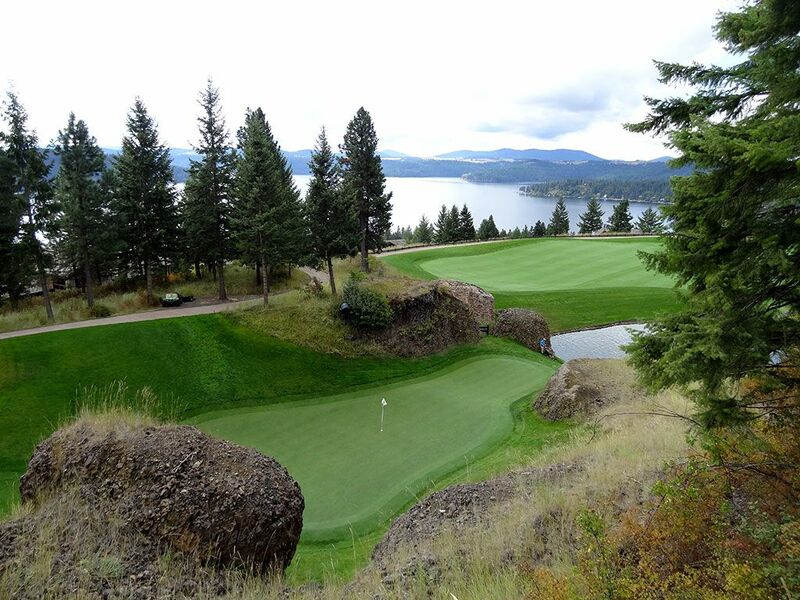 Signature Hole: 11th Hole – 413 Yard Par 4 – Gorgeous downhill par 4 with stunning views of Lake Coeur d'Alene off to your right and a hole that doglegs sharp left. 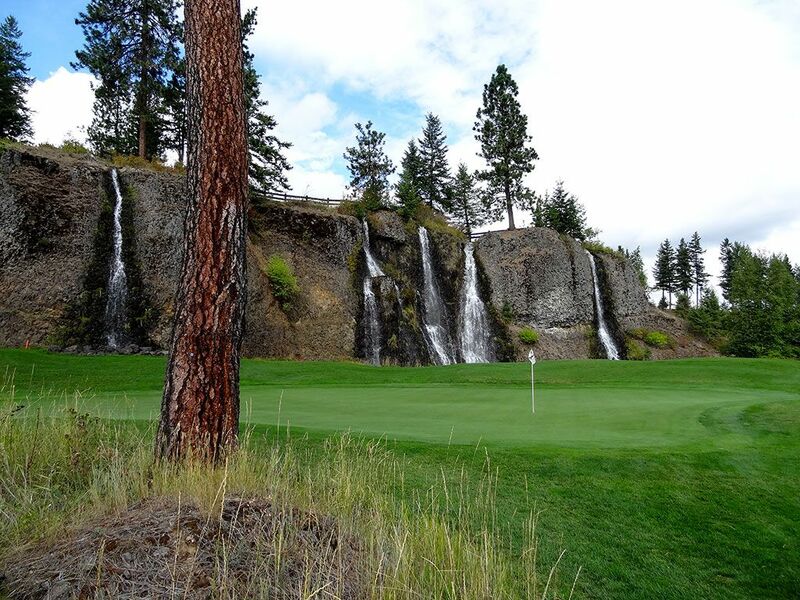 After playing down to the fairway your approach shot must split a pair of waterfalls on its way to a two tiered green in a rock amphitheatre. 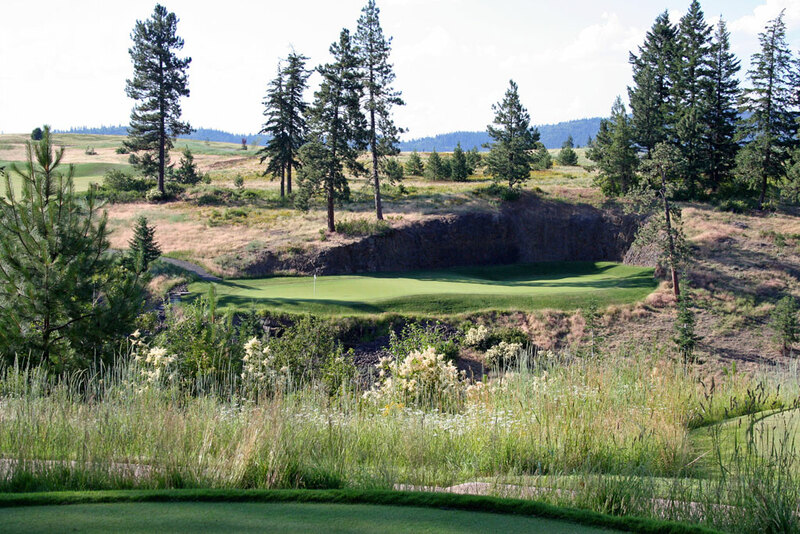 Best Par 3: 13th Hole – 150 Yards – The first of two great back-to-back par threes and the fourth hole of one of the best five hole stretches in all of golf, the 150 yard 13th hole is stunning in every fashion. 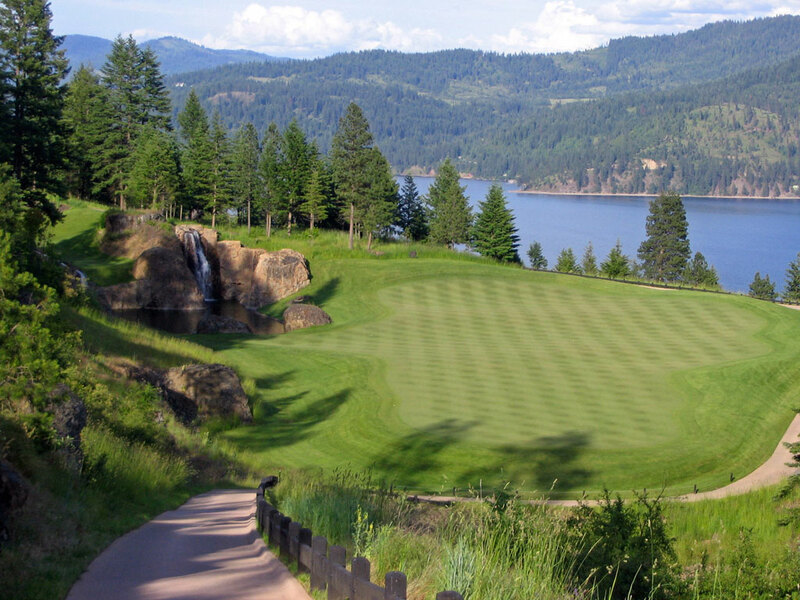 Views of boats coasting across Lake Coeur d'Alene are found off to the right while 40 foot waterfalls cascade down the signature black rocks left of the green. A few large boulders, a signature snaking Engh bunker, and a lone pine tree frame the right side of the hole thus forming a stunning and picturesque par three. 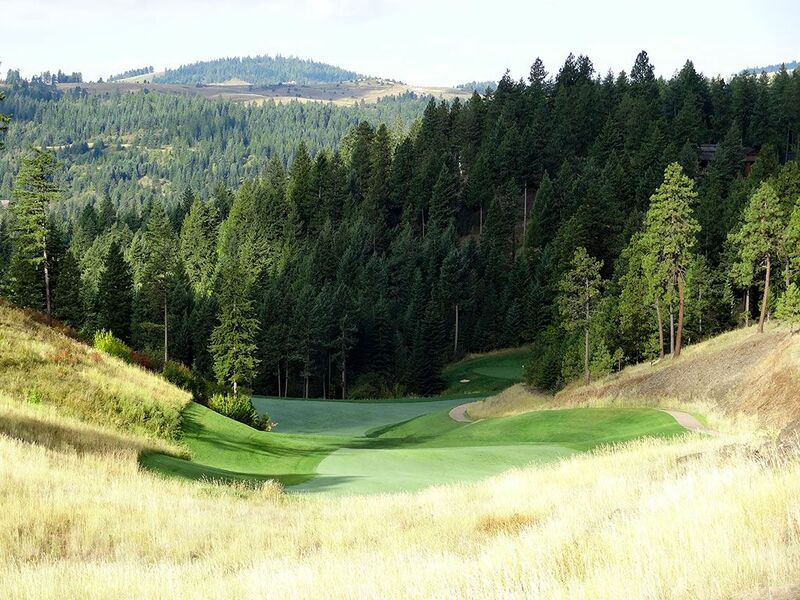 Best Par 4: 11th Hole – 413 Yards – Featured as the signature hole of a course that is filled with signature type holes, the 413 yard 11th hole isn't just a golf hole; it's an experience. It is difficult for this author to imagine many holes that offer a more satisfying visual experience than this hole anywhere in the world. 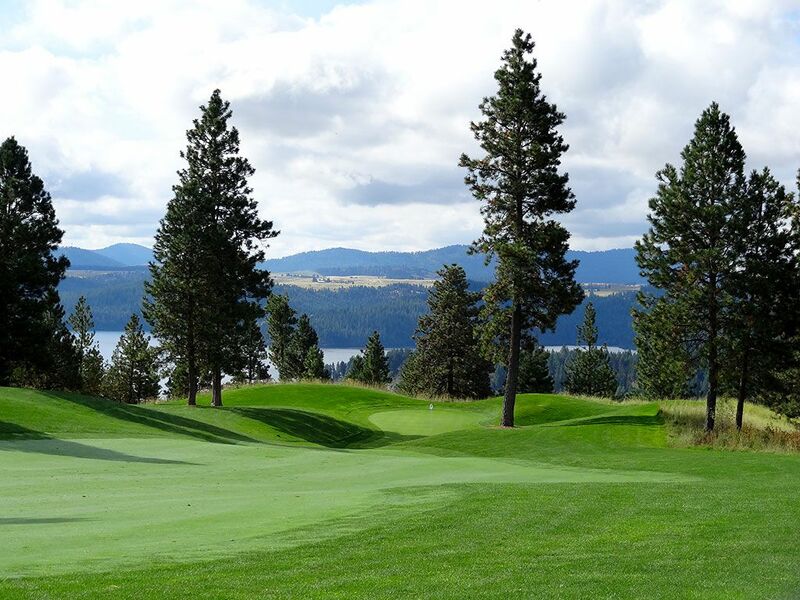 From the tee you have an aerial view of Lake Coeur d'Alene, named by National Geographic as one of the top five most beautiful alpine lakes in the world, you are surrounded by timberlines and natural black rock, and a perfectly manicured fairway awaits your tee ball below. Just when you think it couldn't get any prettier, the approach shot blows your mind. 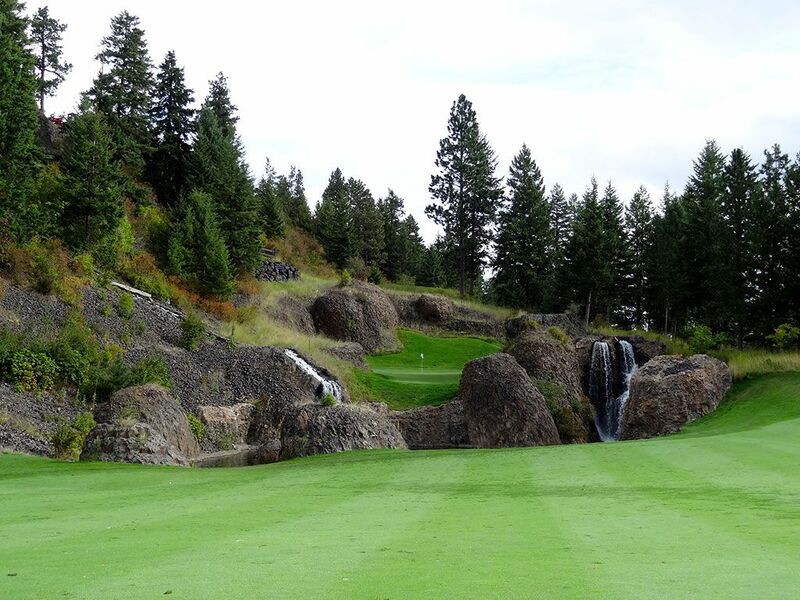 The "V" shaped green is found in an amphitheatre setting surrounded by beautiful black rocks and is fronted by a pair of waterfalls that cascade over boulders into a pond drowns any shot left short of the green. Best Par 5: 3rd Hole – 611 Yards – Offering a similar feel and breathtaking design as the 18th at the Kapalua Plantation course in Maui, the 611 yard 3rd hole is in the upper echelon of par fives found anywhere in the world. 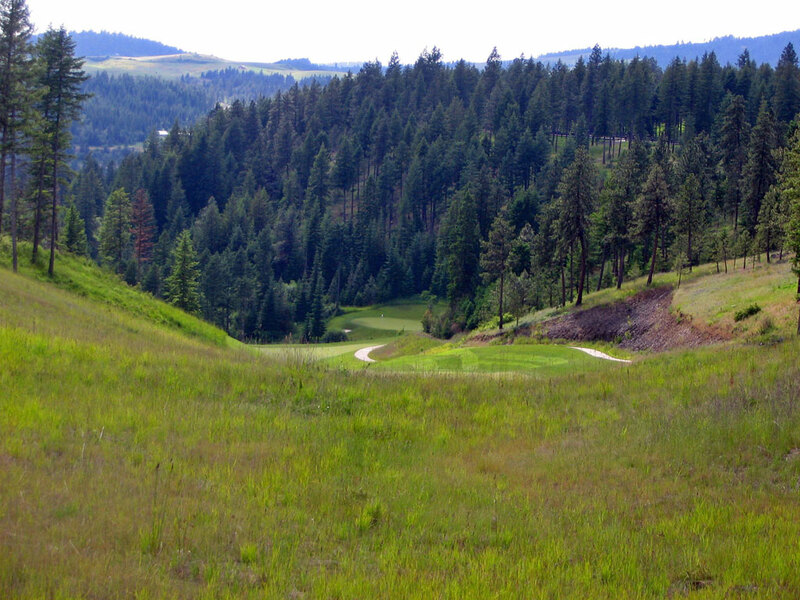 Playing a couple hundred feet downhill from tee to green, a canyon was blown out by dynamite in order to feature the first of two fairways found on this beauty. A monster drive will actually give long hitters a chance to reach the smallish green in two, but most players will choose to layup before attacking the back-to-front sloping green that is protected by a chasm in front. 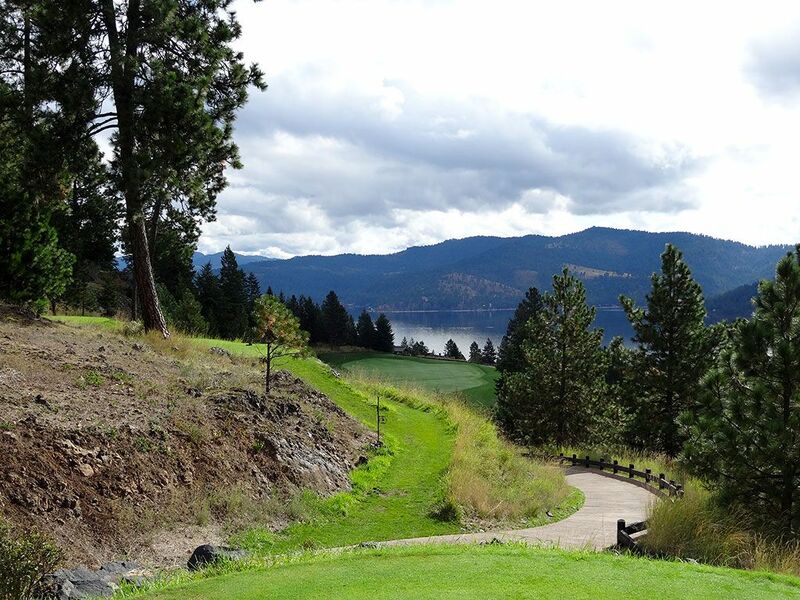 Gorgeous views of Lake Coeur d'Alene are enjoyed from the second fairway while a bubbling brook runs along the right side of the green. 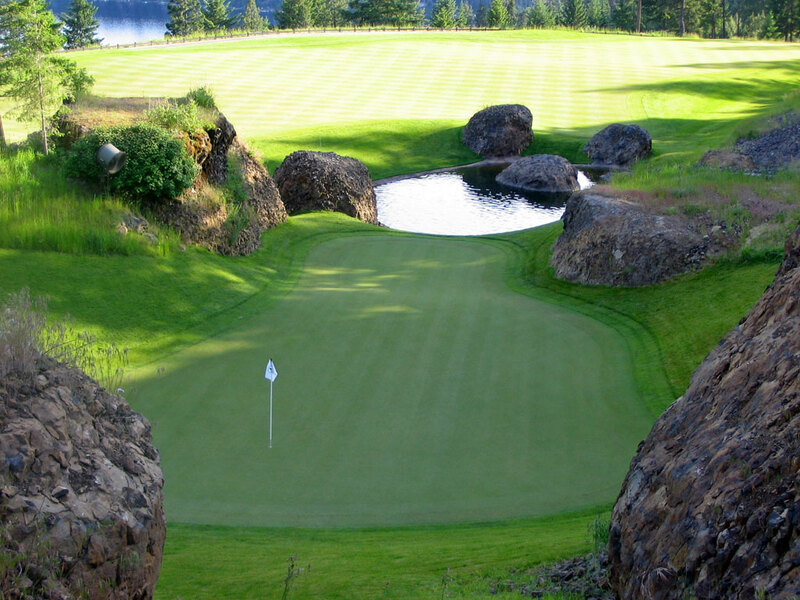 Birdie Time: 10th Hole – 398 Yard Par 4 – The best chance for a birdie at Black Rock is the first hole after the turn where a very unique approach shot will face you. 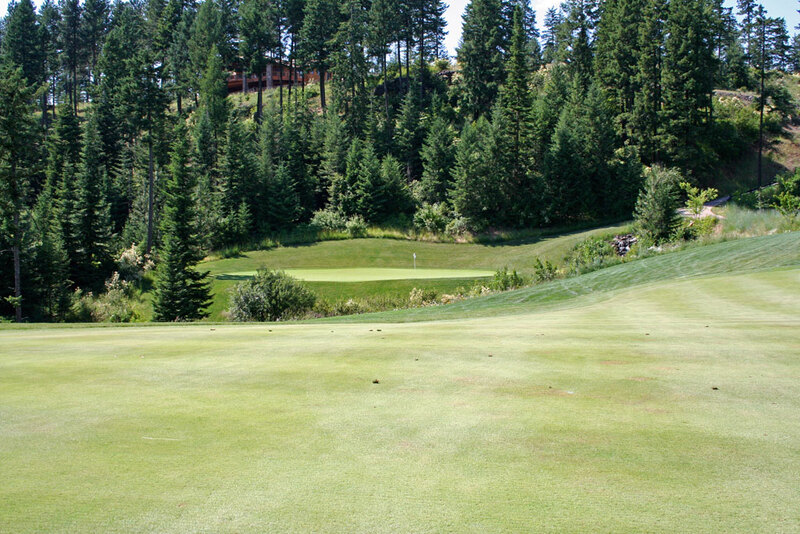 On paper, you wouldn't find anything overly unique about the hole, but after you play your tee shot you'll find you can actually putt your approach shot from about 100 yards away! I had the rare and memorable opportunity to play this hole with course designer Jim Engh who promptly pulled out his putter and rolled it onto the green from the fairway in perfect demonstration of what he told us was possible when he designed it. Obviously the hole slopes downhill and funnels on the way down to the green so as to feed balls into a great position for birdie. Because of the different options and very receptive green this hole provides, it becomes your best birdie opportunity on the course. Bogey Beware: 14th Hole – 157 Yard Par 3 – From the half-blind par four 4th to the 453 yard uphill par four 15th, there are plenty of holes that can serve up a bogey on your card at Black Rock. But the hole I think can cause the most problems will actually put more double bogeys on players cards than regular bogeys. 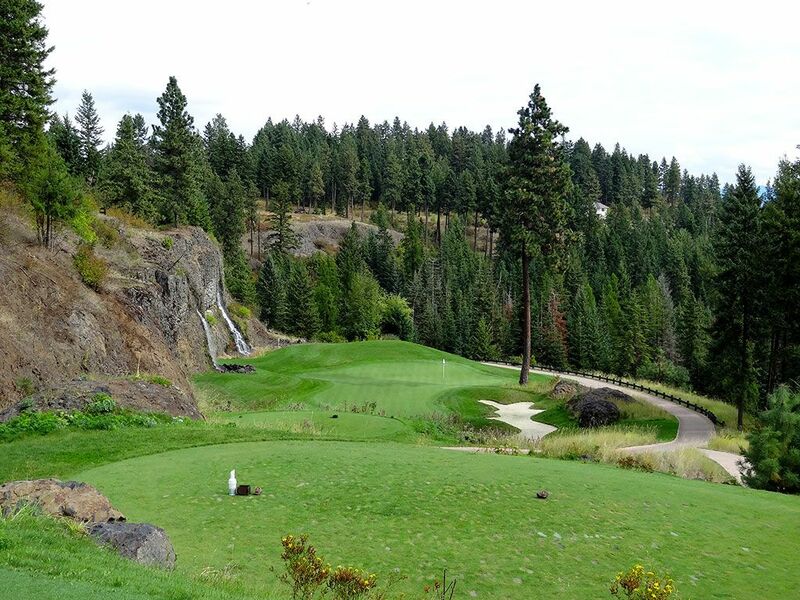 The 14th hole is only 157 yards, but the shot is over a deep rock and tree filled chasm to a shallow green that features a rock wall backdrop across the back edge just beyond the fringe. Any shot left short will never be found while a ball hit long has a likelihood of bounding off the rock wall and down the chasm or into other trouble. The hole was formed when Engh took dynamite to a rock formation and used the amphitheatre affect to frame the pretty, yet penalizing hole.